Jaime Munguia may only be 22 years old but he has achieved more over the last year in the ring than many prizefighters have in their entire careers. Since May 12, Munguia became a major titleholder, made three successful title defenses and has become one of the best fighters at 154 pounds. Munguia is on his way toward becoming an elite fighter and there could be the possibility of one day facing the The Ring Magazine/WBA/WBC middleweight champion Canelo Alvarez or Gennady Golovkin. For now, there are other challenges he must face, including defending his WBO junior middleweight title. Munguia will face mandatory challenger Dennis Hogan, of Australia, Saturday night at the Arena Monterrey in Monterrey, Mexico. The fight will stream live on DAZN (8 p.m. ET/ 5 p.m. PT). At Friday’s weigh-in, Munguia and Hogan both weighed in at 154 pounds. In his most recent bout on January 26, Munguia defeated Japan’s Takeshi Inoue by unanimous decision. 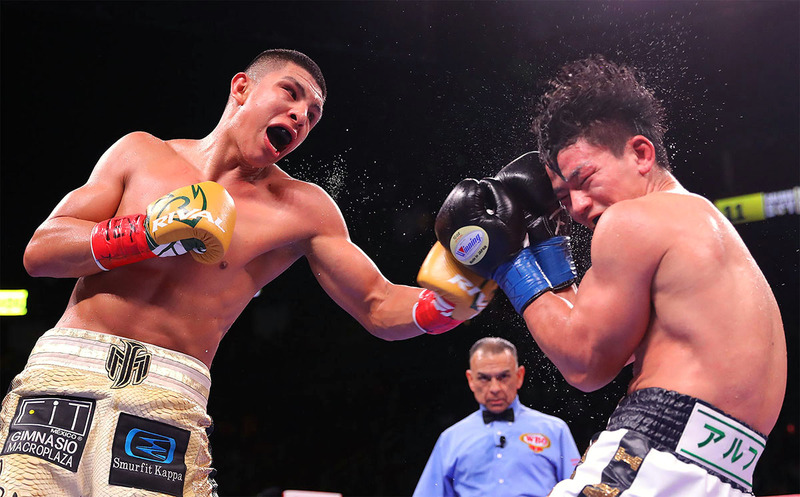 Despite the wide scorecards, Munguia and Inoue engaged in several entertaining and competitive exchanges that made the fight seem closer. Munguia (32-0, 26 knockouts), who currently resides in Tijuana, Mexico, has shown deficiencies in his defense, which trainer Roberto Alcazar has addressed and has worked on. Munguia admits he is getting better with each fight. Hogan (28-1-1, 7 KOs), who is originally from Ireland and now resides in Brisbane, Australia, has won his last six fights since suffering his only defeat as a pro against Jack Culcay in December of 2015. Munguia, currently ranked No. 2 at 154 pounds by RingTV, is co-promoted by Zanfer Promotions, which has promoted Munguia since his pro debut, and Golden Boy Promotions. Munguia is the favorite to win on Saturday but what Munguia will do after the Hogan fight may be more compelling. Munguia could remain at 154 pounds to defend his title or face any of the other major titleholders. 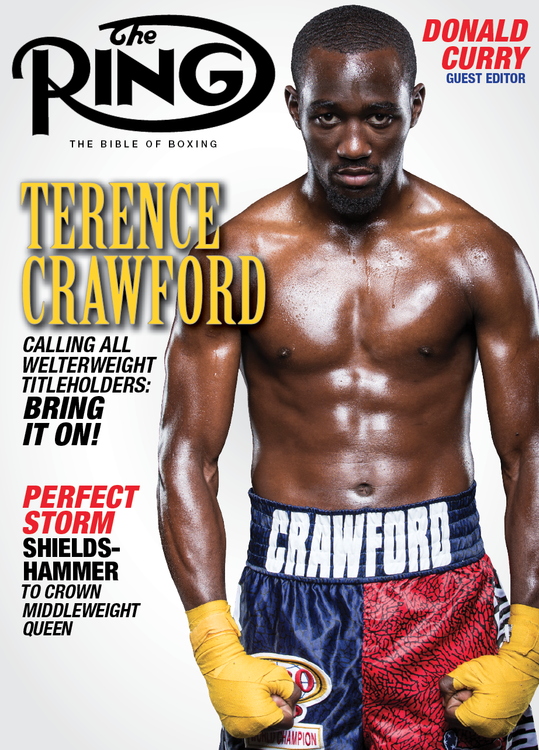 The latter might be more dream than reality as Jarrett Hurd holds the IBF and WBA titles and Tony Harrison has the WBC crown. Both Hurd and Harrison fight under the Premier Boxing Champions (PBC) banner, which rarely does any promotional deals with Golden Boy but does with Zanfer Promotions. 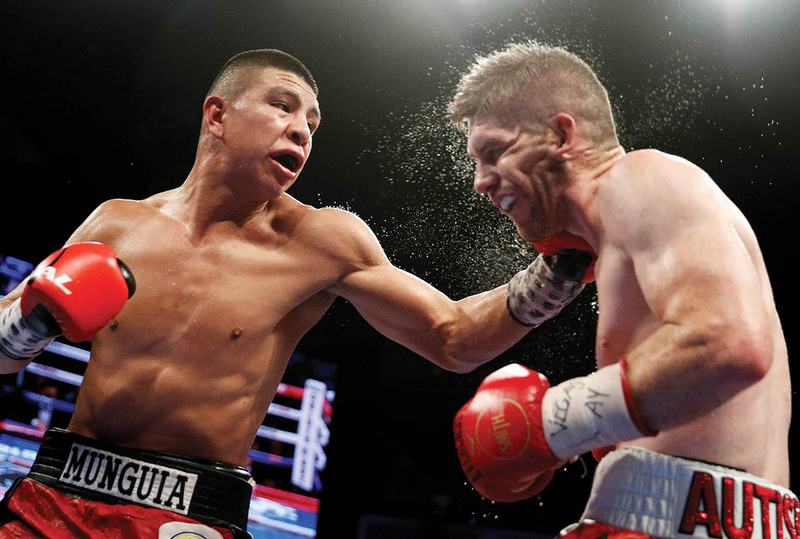 A move to the middleweight division could be the best option later this year or in 2020, as Munguia’s body continues to develop. Even with attractive fights against solid opposition, Munguia has mentioned fighting Alvarez or Golovkin. Before Munguia finalized his fight against Ali, he was mentioned as an opponent for Golovkin after Alvarez withdrew from the first scheduled date for the Golovkin rematch for testing positive for low levels of clenbuterol. The Nevada State Athletic Commission did not approve the bout. Munguia believes a fight with Alvarez or Golovkin is inevitable. “I think more experience, more work and more maturity will lead for those fights to happen. The boxing fans have expressed interest in those fights happening. I think those are the fights that will happen in the future,” he said. Before that could happen, Munguia has to beat Hogan. Francisco A. Salazar has written for RingTV.com since October of 2013 and has covered boxing in Southern California and abroad since 2000. Francisco also covers boxing for the Ventura County (California) Star newspaper, BoxingScene.com and FightNights.com. He can be reached by email at [email protected] or on Twitter @FSalazarBoxing.